Posted By PA Breast Cancer Coalition on August 23rd, 2016 at 4:03 pm | 0 comments. The PA Breast Cancer Coalition (PBCC) represents, supports and serves breast cancer survivors and their families in Pennsylvania through educational programming, legislative advocacy and breast cancer research grants. The PBCC is a statewide organization with a board of directors and a network of volunteers across the state. The PBCC exists to help the 13,500 women in this state who will be diagnosed with breast cancer this year, to support the families of the 2,200 women who will die from it and to serve as a resource for the hundreds of thousands more women currently living with the disease. The PA Breast Cancer Coalition is seeking a highly motivated, experienced, energetic professional with excellent communication skills to work part-time in the Lebanon, PA office. This position will require some travel across Pennsylvania to committee meetings and will include some night/weekend work. 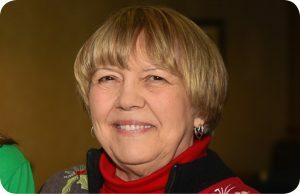 The Program Coordinator will manage the PBCC’s traveling photo exhibit, “67 Women, 67 Counties: Facing Breast Cancer in PA” and will also assist other staff members on programs such as the PBCC Community Advocacy and Research Education for Students (CARES) program, and our Research Grant publicity events. We’re seeking a people person, someone who can work with different personality types and is serious about getting the job done. We need someone who’s reliable, focused, friendly, and detail-oriented. The ideal candidate should possess a minimum of two years’ experience handling all aspects of event and program planning, be proficient in MS Office and the Adobe Design Suite of programs, have strong oral/written communication skills and work well in a fast-paced team environment. This position has flexible hours and is for up to 30 hours per week. The pay is $15 an hour. This is a grant funded position funded through June 2017 with an excellent possibility of renewal. Please submit the following to Jobs@PABreastCancer.org with “Program Coordinator” in the subject line. No phone calls please. The PA Breast Cancer Coalition is an Equal Opportunity Employer. Posted By PA Breast Cancer Coalition on August 16th, 2016 at 1:47 pm | 0 comments. The PA Breast Cancer Coalition Conference is educational, inspirational and FUN! Make a day of it! Want to attend, but can’t afford the registration fee? Scholarships are available through the Cary Massa Memorial Scholarship Fund. The Cary Massa Memorial Scholarship Fund has allowed hundreds of women to attend the Conference, free of charge. Cary was a wife, a mother, a friend, a fighter and a shining light to those around her. 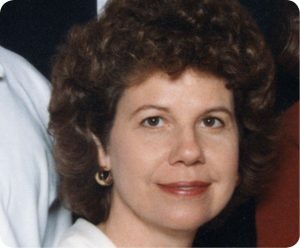 She passed away from breast cancer in 2006, but Cary’s husband, Robert, her family, friends and fellow members of the ABCs Support Group have chosen to preserve her memory through the fund. To learn more about Cary’s legacy, click here to watch the video. New for 2016: Caregivers are eligible for a special registration fee of $25. Nurses, social workers and radiologic techs who attend will receive 3 FREE continuing education hours! Posted By PA Breast Cancer Coalition on August 16th, 2016 at 10:15 am | 0 comments. 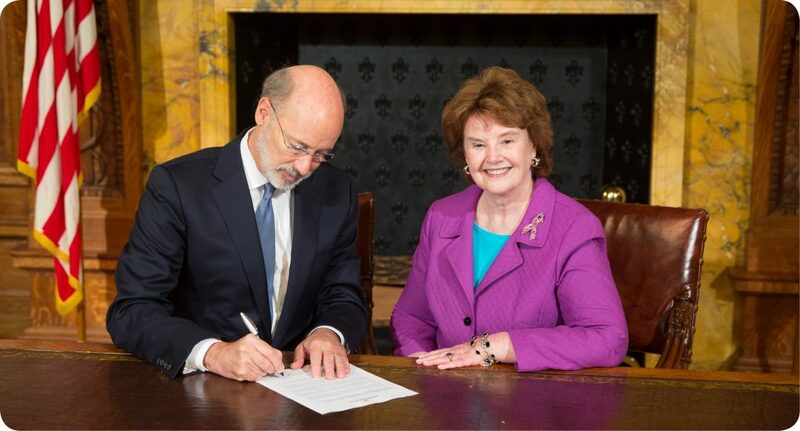 On October 5, 2015, Governor Tom Wolf made Pennsylvania the first state in the nation to require insurance coverage of 3D screening mammograms for women insured under PA law. First Lady Frances Wolf made the historic announcement almost one year ago at the PA Breast Cancer Coalition Conference in Harrisburg. Now, 3D screenings mammograms are covered at no additional cost to insured women and women covered through Medicaid. To mark the 1st anniversary of the groundbreaking news, the PBCC is informing women across the state about how to access 3D screening mammograms in their area. We’ve launched a 1-question survey of all mammography centers. At our Conference October 10, we will release a list of the Pennsylvania 3D mammography centers. The list will also be published on our website, in our Frontline newsletter and right here in PinkLink. Do you work for a mammography center that offers 3D screening mammograms? Don’t miss the list! Take the survey now and make sure your facility is listed as a 3D mammography provider.